I requested a review copy of this book from Atria Books as soon as I read the synopsis. 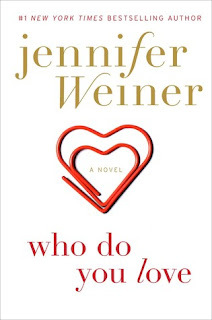 Having never read any books by Jennifer Weiner, I had no idea what to expect when I began this novel. 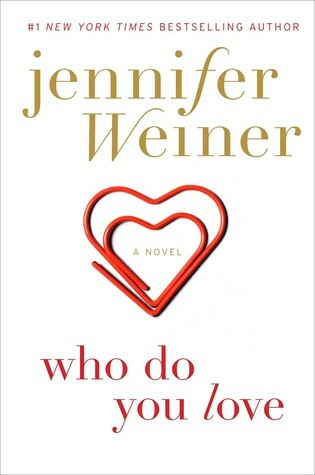 The story itself was beautifully written and there is no doubt that Ms. Weiner is extremely talented. At the beginning of the book, in the prologue, you are in the year 2014 and can tell that something tragic has happened in Rachel's life, but you are uncertain what exactly has transpired. The first chapter flashes back to 1985 and Rachel Blum is an 8 year old child. She was born with a serious heart condition and her mother will never let her forget that it is a miracle she is alive. No matter what she wants, it seems she is defined my her heart problems. Andy Landis, also 8, is in the ER one night when Rachel is "breaking the rules" and visiting the emergency room. Her goal is to see crazy things there and to tell the interesting stories to her sick friend across the hall from her in the Miami Children's Hospital. Andy is stuck in the ER with a broken arm and no adult with him. Rachel begins to tell him a story to take his mind off the pain and they have an instant connection. Once his mom shows up, they are separated and don't get to see each other again. Honestly, the first part was the most interesting and unique for me. I loved the scenes in the hospital and Atlanta, when Andy and Rachel finally meet again. Once graduation and college begins, the story became less interesting to me. I felt like it did not keep me wanting more, it just made me want a conclusion to the book. It was well written, but I had a hard time switching from different POV's and listening to Andy and Rachel make horrible choices at times. It was a constant back and forth and it just irritated me. I just felt like it tried to cram too many years and details into one book. I also felt that if there had been an epilogue that perhaps I would not have felt cheated with the end. It seemed that there were important pieces of the novel that I didn't think were reconciled to my satisfaction. That being said, some readers love the details, and adore long books. If that is you, this book is probably a winner for you.